Skeuomorphic eBooks - do you miss them? With the latest version of iBooks for Apple's iOS7 comes the total disappearance of the 'look of the book'. No more pseudo leather look cover or page edges; no more shaded spine, nor even the wooden bookcase for your library. Apple's decision to do this falls in to line with the re-design of iOS - making for a much simpler (minimalist - you might say) look and feel. Much of the shine and shadows on any icons and objects has gone. When it comes to the iBooks app, there are some issues that need addressing and I am disappointed that publishers have lost some element of control. Strange things happen when you compare re-flowable with fixed layout though! Here we see a page from a new edition of 'eBook Typography' - yet to be released. 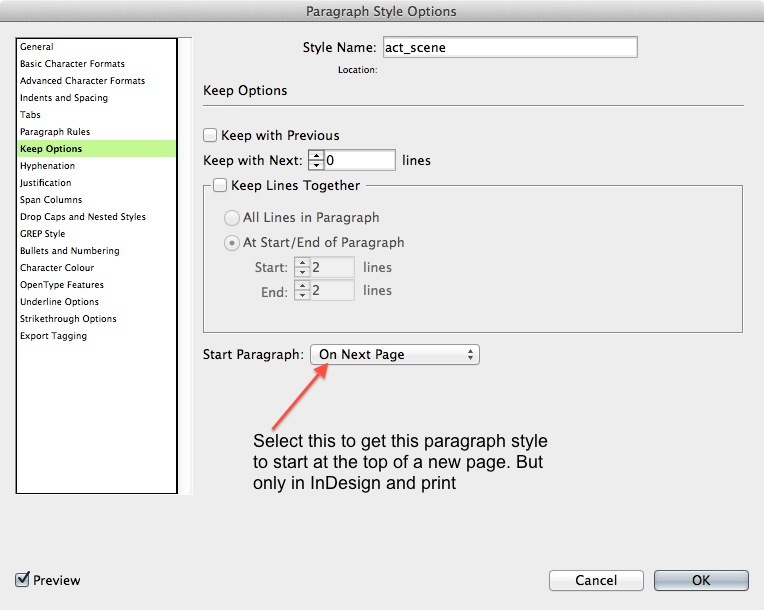 InDesign has a feature for paragraph styles; Balance Ragged Lines. This is a very useful style attribute, because text in headings can look very uncomfortable if left to break naturally. Unfortunatately there is nothing currently in CSS that gives us the power to balance our lines of text. I was always dissapointed to find that my eBooks did not mirror the settings in InDesign, and I was always resigned to the fact that text would break in a heading and then leave, possibly just one word on the following line. But then I came across a post on the Adobe Web Platform blog. Edit: This article has been updated to take account of Indesign CC. Note: The information provided here applies to eBooks created with the ePub3 standard. The font embedding techniques herein will only work properly if the ePub validates to the ePub3 standard. Different devices offer different fonts, which may not be under the control of the book designer. The iPad is the most sophisticated tablet that has a lot of built-in fonts, and these are available to the ebook designer. When exporting to ePub from InDesign you can specify that the fonts are embedded. InDesign CS6 CreativeCloud will encrypt the fonts using a method acceptable for the ePUB3 standard recognised by the International Digital Publishers Forum(IDPF). Unfortunately, the font files are also obvuscated and this is not acceptable to some eReaders. 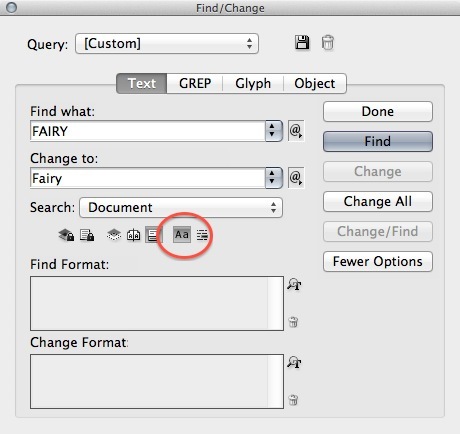 Naturally enough, fonts embedded from the InDesign export to ePub3, will display correctly in Adobe Digital Editions. But what about getting these fonts to display on the Apple iOS devices, such as the iPad? When it comes to the display of text in your re-flowable eBook, you have a some choices about hyphens. Don't justify headings. This is because they may not span the line, and so you are going to get horrid space between the words. 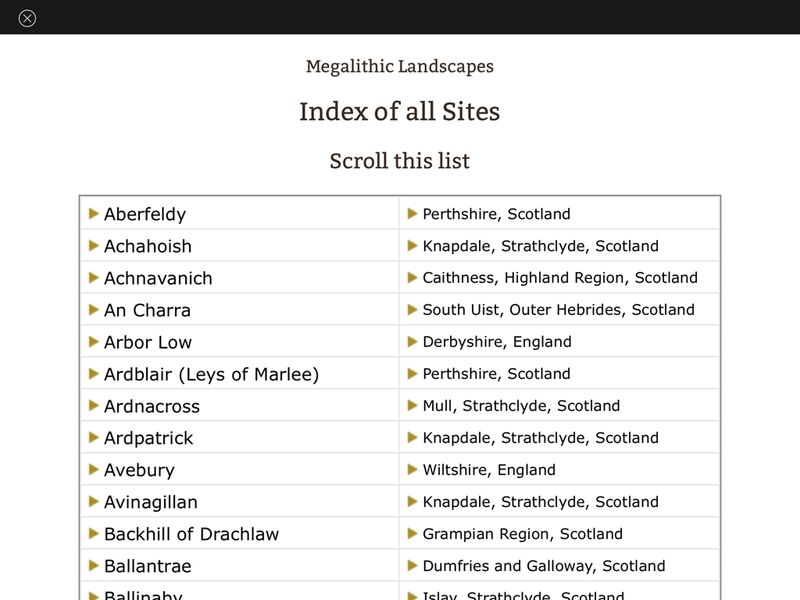 Only hyphenate if you are justifying the text and the line width (measure) is relatively short. 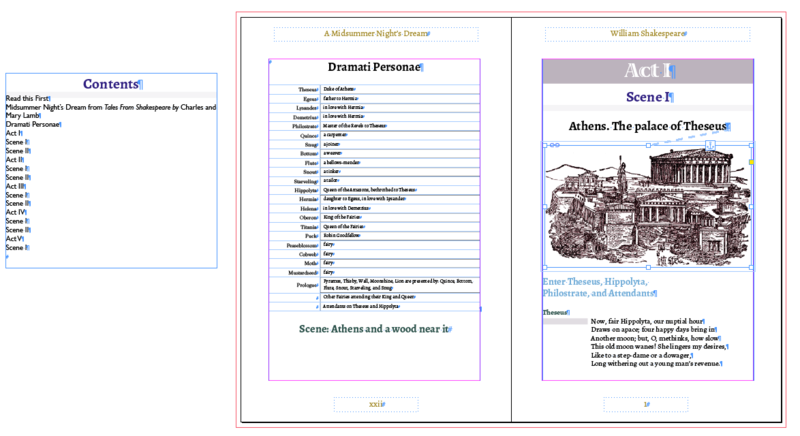 When building a Shakespeare play as a re-flowable ePUB3, one important design choice will be the display of the character names in relation to the words they speak. 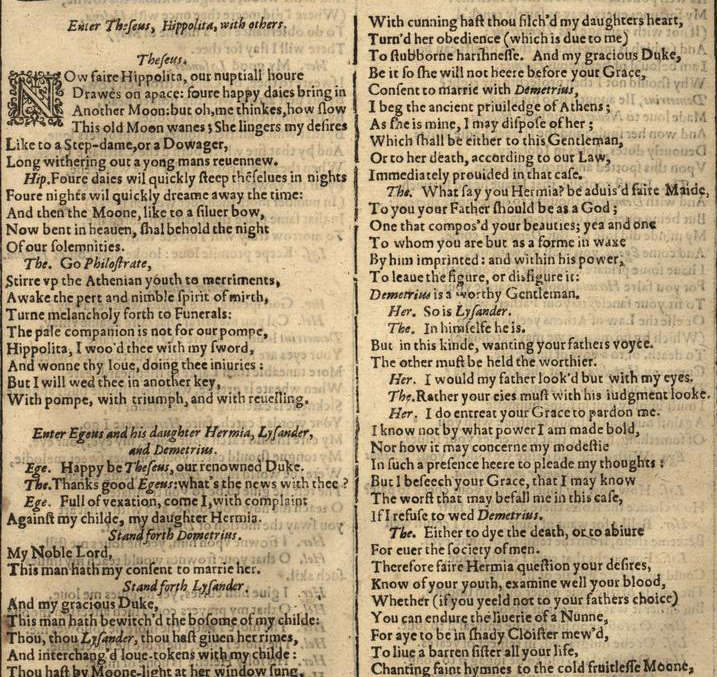 In published works of the play this varies a lot and you can see here how the play was presented in the first folio. The real issue for us is to try to achieve the arrangment of elements using InDesign, so that a print version may be possible as well as an eBook version from the same file. So what are the options? There are 2 basic modes that are going to help you to make global changes throughout the text. With the GREP mode we can find a pattern in the text and modify this text in various ways. 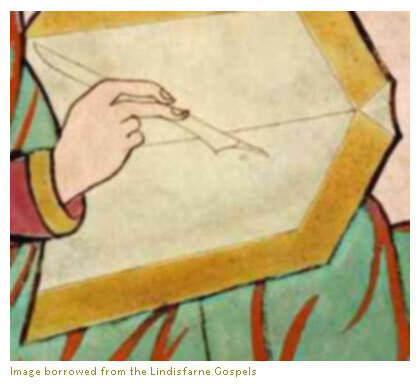 One of the most significant issues in a re-flowable eBook is to determine how the pages break. Do you want the chapters to start on a new page? And sub-headings? And would it be a good idea to devote a whole page to a chapter heading? 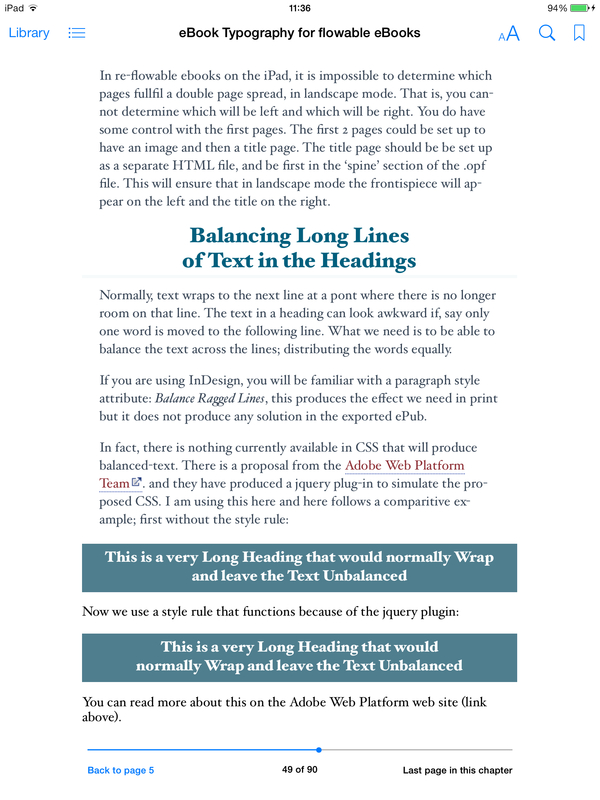 When using InDesign, getting your pages to break at the right place in the reflowable eBook is a little bit confusing, so maybe this will help.